Gabe at MotoringFile revealed these photos of the updated JCW Aero Kit that will be available this Spring and, apparently, did not like what he saw. 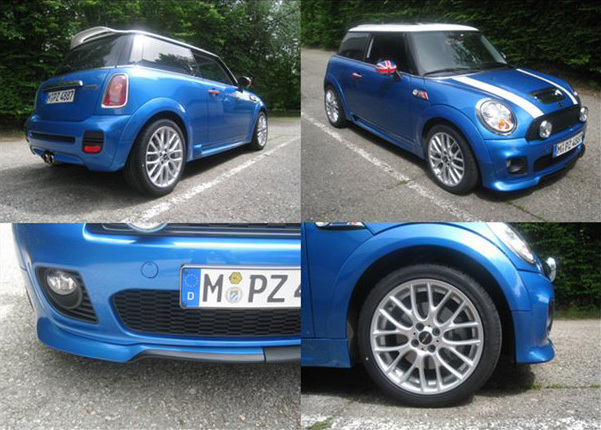 He thought it "takes the JCW Aero kit from aggressive to hideous (at least with 17″ wheels and plenty of front gap)." Automotions offers this advice on spotting phony aftermarket automotive parts and accessories - a large criminal enterprise that threatens consumer safety and authentic partsmaker's profits. Henny Hemmes, the Senior European Editor from the Amsterdam Bureau of The Auto Channel has authored this review of the new 2009 MINI Convertible. Ms. Hemmes believes the car is "improved, and, like all new cars, it has new technology and new features that were not (yet) available some years ago" and "will probably outsell its predecessor." 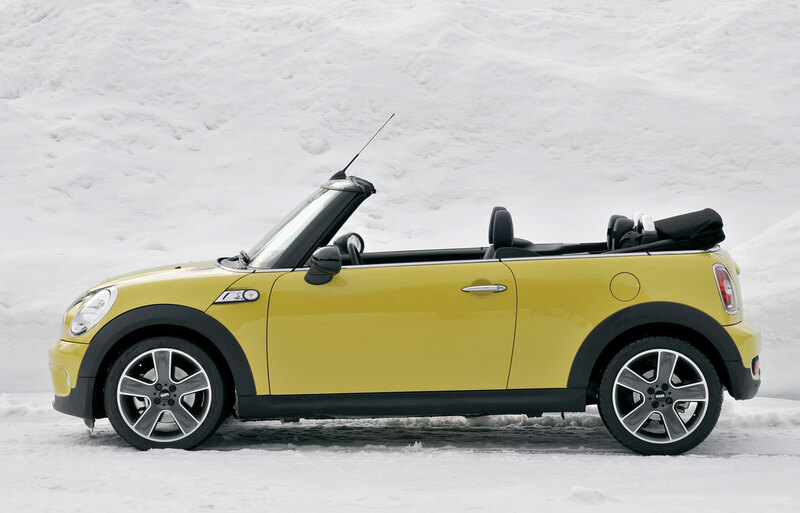 "The Cooper S cabrio is sporty, feisty, and pugnacious, like the rest of the Mini lineup. But between the torque steer, chassis flex, and stiff ride, it is neither a perfect boulevardier nor a finely honed Alpine bomber. It’s something in between, and that compromise isn’t entirely satisfying. The new Mini cabrio will go on sale in late March priced at $24,550 for the Cooper and $27,450 for the Cooper S; 2008 models started at $22,600 and $26,050, so the respective price increases aren’t insignificant. Still, this latest Mini cabrio remains fun and cheeky, and that’s what Minis are supposed to be—it’s an experience perhaps worth freezing for." Times Be Tough For Manny, Moe & Jack Too! The financial times have also been tough on Manny, Moe and Jack. Pep Boys has 560 retail stores in 35 States and Puerto Rico. Motoring Authority has posted that Pirelli is at work with Magneti Marelli on the electronic control systems and Brembo on the brakes to create a self-powered microchip-based system "cyber-tire" that reports temperature, pressure and load wirelessly to the car's computer. It will also use a tri-axial accelerometer in the tires to obtain full 3D data relative to the tire's angle to the car's thrust angle, slip angle and the relative friction coefficients of each individual tire for more responsive traction control and ABS. The tires are expected to be ready for production in 2011 or 2012. And run flats are expensive? "Hal, How Bad Is It?" BMW has taken OnStar one step further with BMW Assist. BMW Assist makes an educated guess as to driver and passenger injuries based on a series of on-board sensors distributed throughout the car, taking into account information such as the car’s speed at impact, where the car was hit, whether airbags were deployed and which passengers were wearing seat belts. It then advises first responders of what injuries are likely to have occurred, according to this New York Times article. It looks like this is the last year Honda will make the S2000 sportscar. Luckily, World Car Fans reveals, in March Honda will release a final "Ultimate Edition" S2000. Although there are no mechanical changes from the S2000's 2.0 liter, 237 horsepower engine, the Ultimate Edition comes in Grand Prix white with graphite colored alloys with black S2000 badging. It has a red leather interior and matching red stitching along the gear shift. It also has a number plate, that marks the car's place in the limited edition run, mounted to the kickplate. If you haven't had the opportunity to drive and examine a new 2009 MCS JCW, you should read this review from Leftlane. Marcus Syring, the man in charge of the 2011 MINI Crossover's exterior design, told Edmunds Inside Line the production design will be revealed at this September's Frankfurt Auto Show. The big MINI will be a maximum of four meters long (157.5 inches). An optional BMW X-drive derived four-wheel-drive system will be available later. The first vehicles will be front wheel drive. The Cooper base version will list around $29,000. The base S version will list at or above $34,000. MINI also promises lots of new interior and exterior options. We learn from Carscoop that the 2009 MINI Convertible, John Cooper Works Edition, will debut at the Geneva Motor Show this March. The JCW will have a power increase to 211 hp, a torque increase to 192 lb-ft between 1,850 and 5,600 rpm, upgraded brakes and suspension and a subtle aerodynamic kit. Check out this article at Autoblog about the new MINI viral video on how not to wash your MINI Convertible. Make sure you watch the video. You know you want to try it - in a rental car. I have contacted the Symphony about the White Album Ensemble Concert. It is planned for this year and should be at the end of May. I've been told to check back later for the exact date. Stay tuned for more info. What Does Fiat Want From Us? 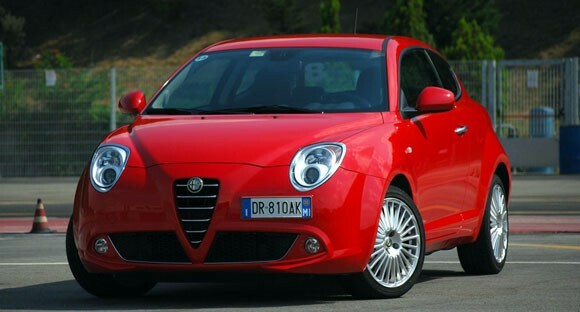 CarandDriver.com reports that the upcoming Alfa Romeo 149 may share the BMW 1-series or next Mini Cooper platform. You got your front airbags. Then you got your rear airbags. You get your seat bags, dash bags and side curtains and doors. Now, on the 2010 Mercedes-Benz E-Class you have a "pelvic airbag" as one of eleven on board airbags according to a report that originates with KickingTires. At this point why don't we just create a disposable balloon car that insulates the driver from all foibles? MINI will be branding some of its vehicles with the title "MINIMALISM." Motor Authority reports that the "MINIMALISM" tag will be affixed to base models with fuel-saving technologies to maximize fuel economy. Some of these "fuel-saving technologies will be aerodynamically enhanced bodies, particulate filters, low rolling resistant tires, light weight engines, engine stop-start features, brake energy regeneration systems, optimal shift time indicators, and electronic power steering systems." The first models will be based on the MINI-D (Diesel) which, with other fuel saving technologies, will give the vehicle 60 mpg with extremely low emissions. No word yet from MINI whether "MINIMALISM" will come to the US. This news from MotoringFile - you can now get matching C-Pillars with a Pure Silver Clubman or Jet Black C-Pillars with a Midnight Black Clubman. This is the first time MINI has offered matching (or near-matching) C-Pillars on the Clubman. This story proves truth is stranger than fiction. We went slack jawed when we read this story in these days of heightened security, especially in our urban areas. You must read it but here is the short version. A 14 year old walks into a Chicago police station dressed in a police-issued uniform. He is given an assignment in a squad car for five hours before anyone realized that he was too young to drive, let alone, patrol the streets of the city. It was reportedly not until he returned to do paperwork that officers noticed that he had no badge and no gun. Hello, officers!!! You have some explaining to do!! MotoringFile has an excellent article on the upcoming MINIFest, a celebration of MINIs, at the 2009 Targa Newfoundland. In case you don't know about Targa Motorsports, here is a great site to find out about it. The Targa Newfoundland has been held seven times (there are also Targas in New Zealand and Tasmania) and won twice by MINIs. This year's Targa Newfoundland with MINIfest is September 12 to 19, 2009 and starts in St. John's. Here's an interesting collaboration. Ridelust has a press release, with the Video below, of MINI’s Financial Services Division's free “MINI-centric” version of the classic “Liquid Assets” game for i-Phones and I-Pods from i-Tunes. There are three levels of difficulty and it allows players to play full-color, slightly-cheesy games that incorporate the entire MINI model lineup. The download is here. Oh My! We Are Not Worthy! For those of you that Autocross the Sports Car Club of America has published a new 2009 National Solo Rule Book. It became effective January 1, 2009, and supercedes all prior Rule Books. You can get the 2009 edition here in .pdf format. In case you haven't noticed, there is a "comments" section under each post with a number before it that represents the number of comments. If you see a comment, check it out, especially for runs since discussions of meet up times, locations, and additional instructions may be posted. For example, look at the comment under the post "Saturday, February 7, 2009 MINI Performance Art Tech Session". Also other members want to hear what you have to say!!! So don't be shy - we can take it (usually). A great time and a great group. The weather held, the roads dried, and the Artichoke Soup was to die for. We will see you all soon at the Performance Art Tech Session on February 7, 2009 and/or NorCal MINIs' Santa Cruz Meet up with MidCal MINIs on February 22, 2009. . . . and yes Gordon that was a Smokey on the Prowl!!! Don't forget to sign up for the Saturday, February 7, 2009, 10:00 a.m., MINI Tech Session at Performance Art located at 5755-B Rossi Lane, Gilroy, CA 95020. Coffee and doughnuts will be provided. Stay tuned for Meet Up locations between Pleasanton and Gilroy. Locations and times to be announced soon! If you are not a NorCal MINIs member, or do not receive a NorCal MINIs e-mail invitation to this event, sign up here. MINI is at the Bread & Butter Fashion Show in Barcelona, Spain. MINI Space has exclusive video footage. 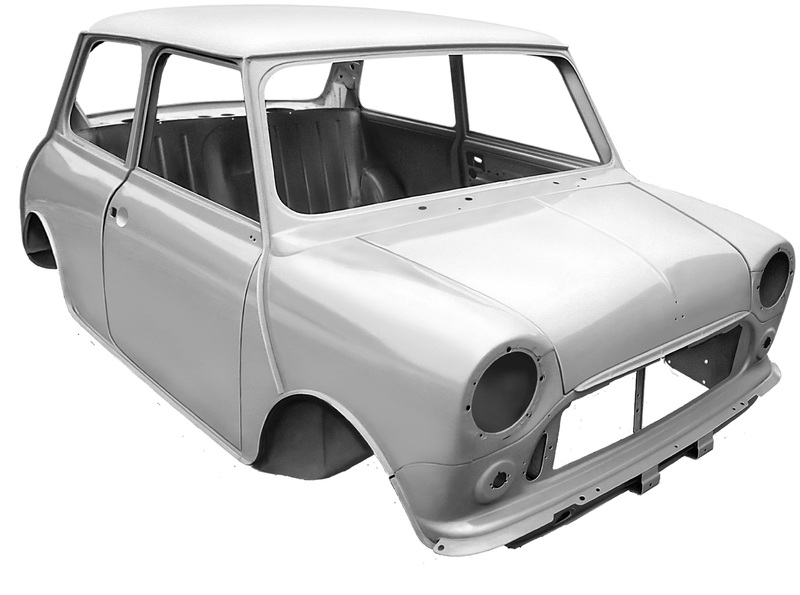 British Motor Heritage, Ltd. is now offering brand new body shells for Classic Minis. According to Autoblog, British Motor Heritage, Ltd. has acquired the original tooling, technical data and jigs for classic British vehicles - MGs, Sprites, Midgets and Minis. The cost for a new, rust-free, body will run between $7,500 and $13,000. CARSCOOP has posted new spy photos of the 2010 MINI Crossman SUV. The production version appears to have lost the relatively low-slung roof, suicide doors and side-hinged tailgate shown on the prototype introduced last year at the Paris Auto Show. Rather, the roof looks reminiscent of the Toyota FJ Cruiser; the doors have a traditional five door layout; and the tailgate now is virtually identical to the split doors found on the Clubman. 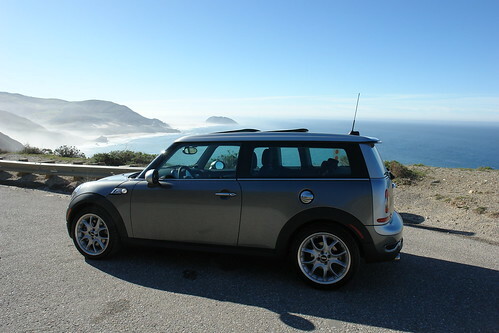 Remember, this Saturday, January 24, 2009, NorCal MINIs will meet up at 11:00 AM at the Pioneer Hotel located at 2925 Woodside Rd, Woodside, CA, and run to the Coast, followed by a late lunch at Duarte's Tavern in Pescadero. Please RSVP here ASAP since we must provide Duarte's with a head count Saturday morning. Jalopnik reports that Pinal County, AZ has terminated its contract with red light and speed camera company, Redflex, due to negligible income from the cameras and a doubling of accident-related deaths on the roadways where the cameras were being used. Based on a mathematical analysis the total program was costing the County more than ten times the amount collected in fines. The MINI Cooper S, for the third year in a row, has won the best hot hatch on sale in the UK What Car? Green Awards. 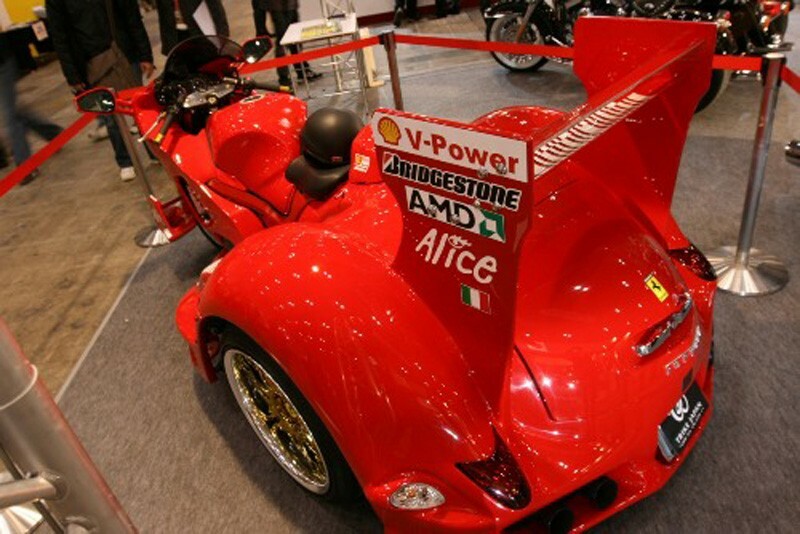 Last year it won the Green Sports Car Category. 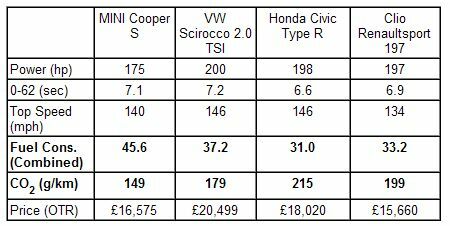 The MINI fitted with MINIMALISM technology, which includes Auto Start/Stop, Brake Energy Regeneration and Shift Point Display, was found to produce the lowest amount of CO2 (g/km)and highest mileage of all of its competitors according to The Auto Channel. UPI reports that an Australian man failed a breathalyzer test even though he steadfastly claimed he had not had any alcohol. He asserted that he only had eaten a "Bubble 'O Bill" ice cream treat. Tests performed by the Court confirmed that the breathalyzer measured a .018 alcohol level after consumption of the non-alcoholic ice cream and granted the man's request to remove the breathalyzer interlock device from his motor vehicle. According to research, false positive breathalyzer tests may arise from consumption of certain non-alcoholic foods and drinks. It is recommended that a breathalyzer test not be administered until at least 15 minutes after the person last had something to eat or drink. In this article from The Auto Channel, User Centric, Inc., a "Chicago-based user experience research firm," says the MINI dashboard "suffers from awkward relationships between buttons and the display, inefficient layout of controls, poor error recovery and some labeling issues." Naseem Hasan, a "User Experience Specialist" calls it "a potential safety hazard." Apparently, these guys forgot that the multi-function steering wheel and automatic environment controls eliminate any need to touch the buttons while driving. Mr. Hasan has an MS in Human-Computer Interaction from DePaul University and likes playing soccer. Let's hope that next time he puts his hands on the steering wheel rather than inserting his foot in his mouth. Alfa Romeo will introduce the Alfa MiTo GTA at the Geneva Motor Show in March. Autoblog indicates that it has been receiving reports that the vehicle will generate 31 more horsepower than the JCW from a 1.8 liter turbocharged four banger with an electronic differential and will have a sticker that is about $3,000 less than the JCW should it come to the US. Now that Fiat and Chrysler have formed an alliance there is a good chance that this little gem will be coming here. Watch out MINI. The new Secretary of the US Department of Transportation (DOT), Ray LaHood (R-Peoria, Ill.), appearing yesterday before the Senate transportation committee proposed tolling new lanes of highway rather than raising fuel taxes. The Truth About Cars, in its report on the Secretary's appearance, indicated that he was met with opposition from both sides of the aisle. LaHood also indicated that he wanted to use funds raised from motorists to subsidize mass transit. Now that the US auto industry has lost much of its lobbying mojo there is a good chance tolls and taxes on all transportation will increase. Stay tuned. According to Autoblog BMW will cut 26,000 workers in February and March, reducing production by 38,000 units and cutting hours at its Berlin and Landshut facilities. BMW's stock has fallen 49% over the past 12 months. Rumors abound that it will be looking for loan guarantees from the German government to stay in business. Driving Sports today posted a story that MG, which is owned by the Chinese company SAIC Motor Corporation, will build the MG TF LE500 roadster in Longbridge, England. Thus, the MG saga comes full circle. The MG TF is a front-engine, rear drive, two seat sports car with a 1.8-liter engine and a 5 speed manual transmission. The engine makes 133 horsepower and 122 pound-feet of torque and gets about 35 MPG. Extreme Catapulting or a MINI Cooper JCW? TheCarConnection.com announced today that a plush MINI bulldog is available at selected dealers and at motoringgear.com just in time for Valentine's Day. The MINI bulldog comes dressed in a red MINI jacket and retails for about $26.00. If you are interested at all in tracking your car we recommend that you check out TurnFast! It is full of valuable "How-To" articles and Resources. It bills itself as "The Road Racer's Reference Center." Check it out! The Auto Channel reports that Hagerty Insurance Agency, known as an insurance agency of choice for collector cars and classics, has listed the MINI Clubman S as a future collector's car under $50,000. Don't miss today's offer at Woot - two MINI RC Cars for $12.99 plus shipping!!! This is a great deal for those who collect MINIobilia. Bentley Publishers has started to take pre-orders for its new, soon to be published, manual "Diagnosis Without Guesswork" for the 2002-2006 MINI and MINI S. It is intended to be a comprehensive source for engine management and on-board system diagnosis. This will definitely be a great addition to your automotive library especially if your 2002-2006 MINI is now out of warranty. Sometime in the middle of this year MINI will begin to sell the MINI-D in Australia, according to The Auto Channel. It will be the cleanest emission car in all of Australia. The MINI-D has MINIMALISM (MINI's version of BMW's EfficientDynamics) which includes "Auto Stop Start" that switches the engine off in traffic jams and at red lights to save fuel; Brake Energy Regeneration; and a Shift Point Display. We just want to know whether it will ever be introduced in the US! MotoringFile is reporting several of its sources have indicated that MINI will introduce a new, more aggressive looking JCW Aerokit, with painted side skirts and wheel arches, later this year. No pictures or drawings are available. Automotive News Europe reports that Fiat Group is in negotiations with Chrysler, LLC to give Fiat a stake in Chrysler. We can see it now. Call the combined company Fiasco, LLC and make a mini-car that always needs to be fixed (cash-flow) and takes a 6 lane highway to make a U-turn. Golf balls have dimples in order to make them stable and fly through the air with the greatest of ease (however, you couldn't prove it by our golf game. Usually our clubs end up going much farther than our dimpled balls). Now, Fastskinz has come up with a rather dubious product that it asserts can increase your gas mileage 18% to 20% - a dimpled car wrap. You know, the type of printed vinyl wrap that you find on those cars that are plastered with full body advertisements. As Gizmodo points out in this article, these assertions are made by Fastskinz without any supporting research. Even it it does work, can you imagine trying to wash the dirt and grime off of a dimpled car? Definitely a water hazard. We just don't buy the pitch. This is on par with increased gas mileage from putting magnetics on your fuel line. Let's just call it a sand trap wrap. NorCal MINIs' Keith's Run No. 5 has been scheduled for Saturday, February 28, 2009. Time and meet up location(s) TBA. If you are a NorCal MINIs' Member you should RSVP via the e-mail invitation that will be sent to you. If you are not a NorCal MINIs' Member please RSVP here. Here is your list of 2009 NorCal MINIs events. Jan 24th Elephant Seal Run. Lunch at Duartes in Pescadero. Feb 7th MINI Tech Session at Performance Art in Gilroy. A ride through the hills after. Feb 22nd Meetup with MidCal MINIs in Santa Cruz. We will meet up for breakfast. Convoy from the Bay Area. Feb 28th Keiths Run #5 Mines Rd from Livermore to San Jose by way of Lick Observatory. Mar 21st Detail Day at John's European in Dublin. DIY detailing and discounted MINI service. Apr 18th Daffodill Hill Run with a stop at Jackson Rancheria. Apr 26th Chico British Car Meet. May 16th & 17th Yosemite Run an overnight run from the south gate. June 13th A's vs Giants at SF. July 11th NorCal MINIs Summer Picnic. Aug 15th Skyline Run, lunch at Alice's. Sept 12th MINI Muscle Camp. A Gloves and Clover Production. Oct 3rd & 4th Solvang Sideways Tour. Nov 7th Turkey Run #3. A rally for turkeys. Mmmmmmmmmmmmmmm! Zac's Cafe for Breakfast and Planning at 9:00 AM today. 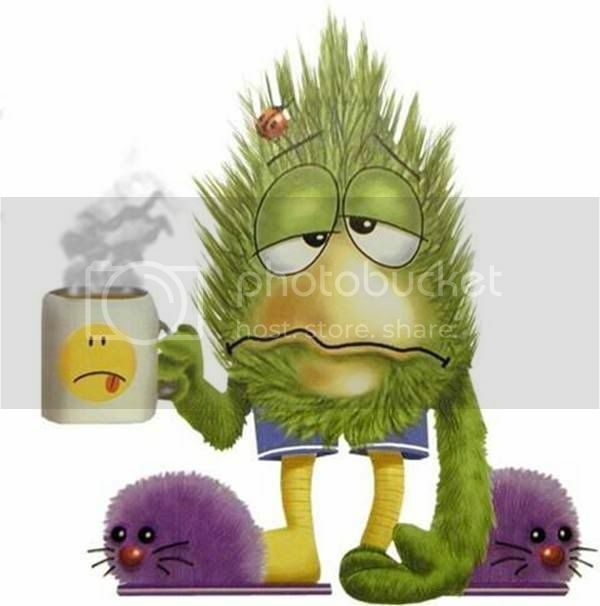 Need Coffee!!! Auto Motto has this story on the new "LightLane." This technological laser-based achievement projects a bicycle lane from your bike, even when no bike lane is present. We can't wait for the auto version. Just think how much cheaper it will be to add lanes without having to do any painting! Kicking Tires reports that Bloomberg News investigated AARP's auto insurance endorsement program and found a plethora of shady practices that have some members paying double for AARP-backed insurance versus other plans. Apparently part of the premium for AARP endorsed insurance coverage goes to AARP as "royalties" or "fees." These fees, according to the report, accounted for 43% of AARP's revenue in 2007. We find it is always best to obtain your auto insurance through an independent insurance broker who can shop the entire market no matter how old you are. The NHTSA, in coordination with the Department of Transportation, have created a website, Safercar.gov, that provides safety and recall information on all motor vehicles and associated products. Now, you can have recall information pushed to your computer or cell phone by e-mail alert or RSS feed by year and make of vehicle. Next year, according to MotoringFile, two Special 50th Anniversary Edition MINIs will be offered by MINI. These vehicles are unlikely to be stripped down versions. They will have special interiors and wheels. One will be offered in Pure Silver. The other will be in Hot Chocolate. If you are interested we suggest you get on a dealer waiting list ASAP. We are sure these will be limited run vehicles. According to Jalopnik MINI will loan New York City 10 MINI-E's to be used for a year in the City's "SCOUT" (Street Condition Observation Unit) program to scour the streets for potholes and graffiti. The object of this free loan is to put the MINI-E's through harsh, real life, situations for a year. The BMW press release cited by Jalopnik advises it is anticipated that the vehicles will each log about 100 miles per day.